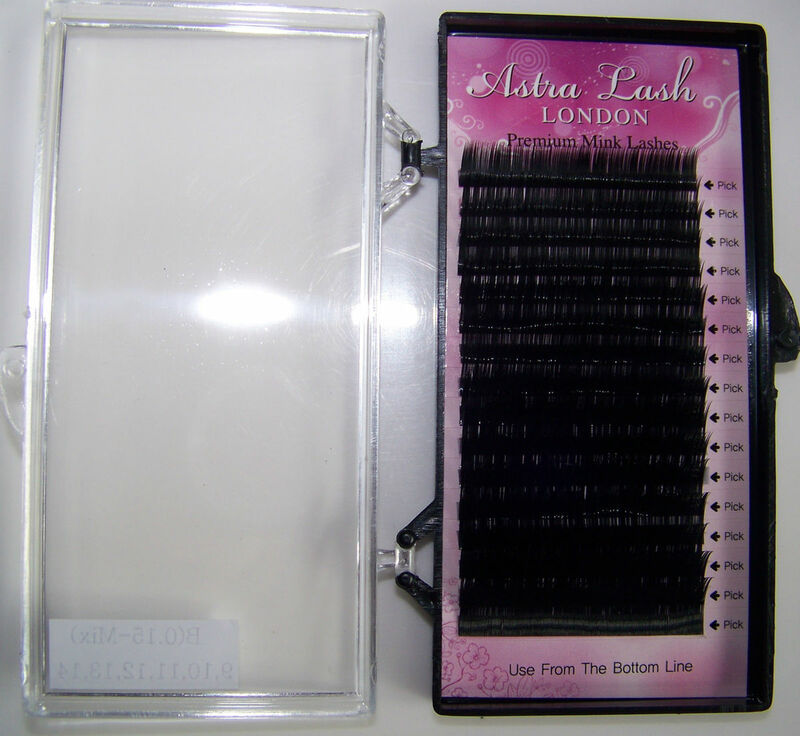 RETAIL AT WHOLESALE PRICE Good quality Mink individual eyelashes are soft and glossy, very similar to real mink hair. Soft and lightweight.These individual eyelashes are on strip and each strip can be removed for application and stuck on your hand for easy use or eyelashes can be taken from strip in the bottom Premium Mink Eyelash 16 Lines Tray. The ultimate eyelash extension, for professional lash technicians: Super soft Glossy Flexible Lightweight Naturally curved Velvet-like appearance Natural looking lashes that will give your customers the ultimate soft, long velvet like lashes Makes your beautiful eyelashes look long and rich. For professional use. Ratio: 2(9mm), 3(10mm), 3(11mm), 3(12mm), 3(13mm), 2(14mm). Total 16 lines.